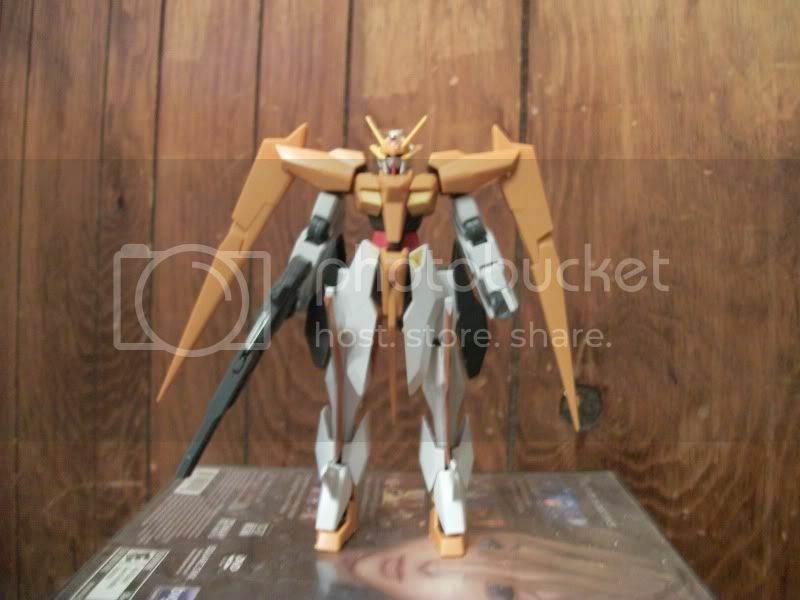 For those of you who don't know, Gunpla is nerd speak for Gundam model kits. 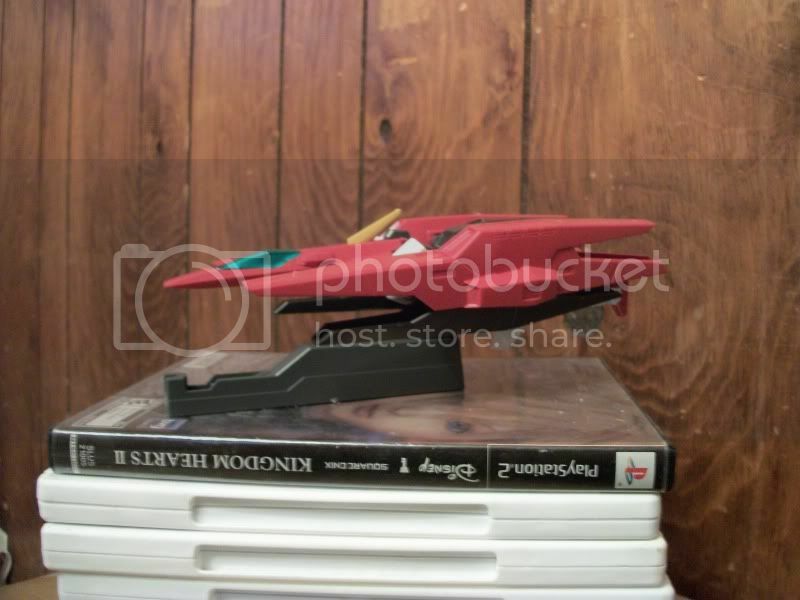 It's a portmanteau of Gundam and plastic model. As anyone from #SoSZ would probably know, I've been collecting and building them as of late. If no Red Overlords object, I'd like to catalog my experiences. Last edited by Qu Hui on Wed May 11, 2011 1:39 am, edited 2 times in total. 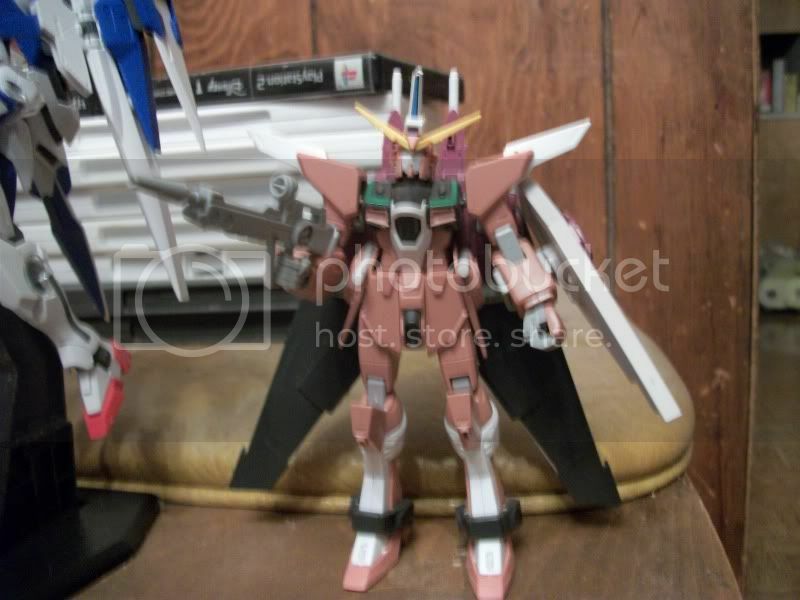 The HG 1/144 Gundam Dynames. It features the full shield equipment and the GN sniper rifle stored on the right shoulder. The picture is kind of blurry. 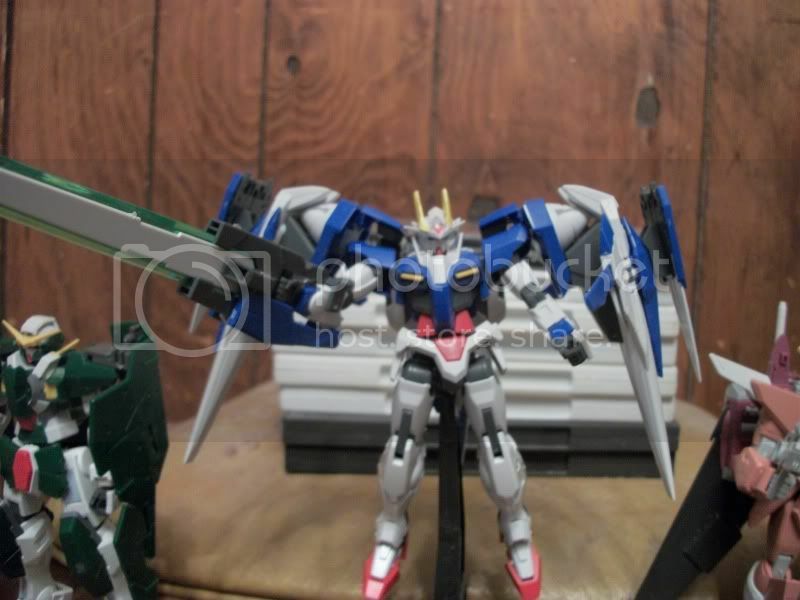 The HG 1/144 00 Raiser, equipped with the GN sword/rifle III. 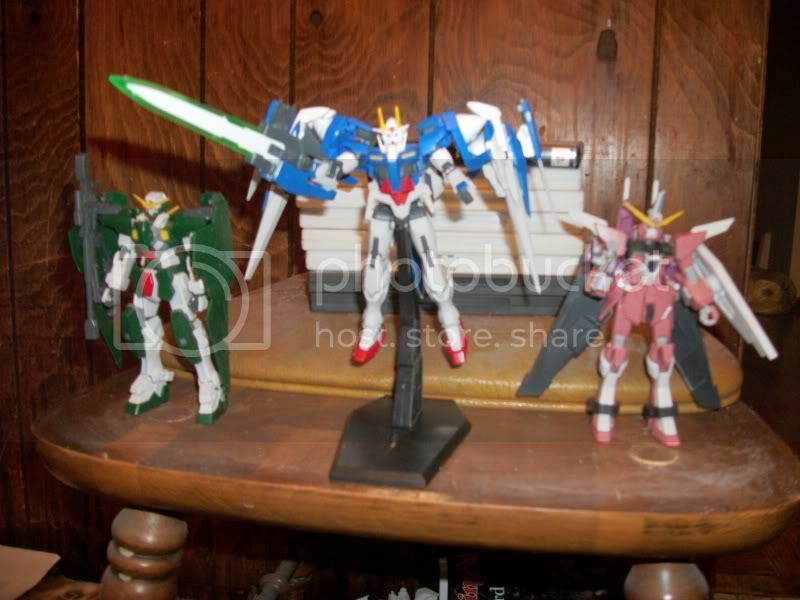 Other equips include the shields on the Raiser's binders and a pair of beam sabers stored on the rear skirt armor. 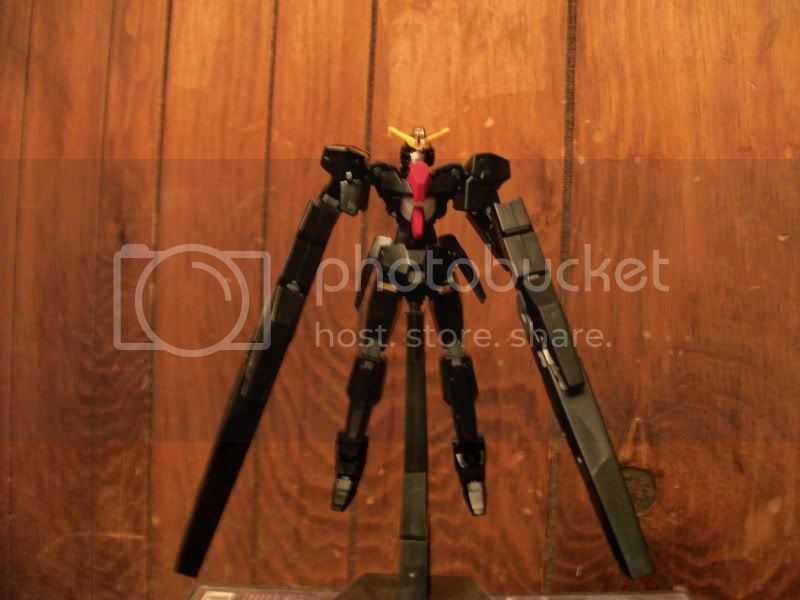 The HG 1/144 Infinite Justice Gundam. 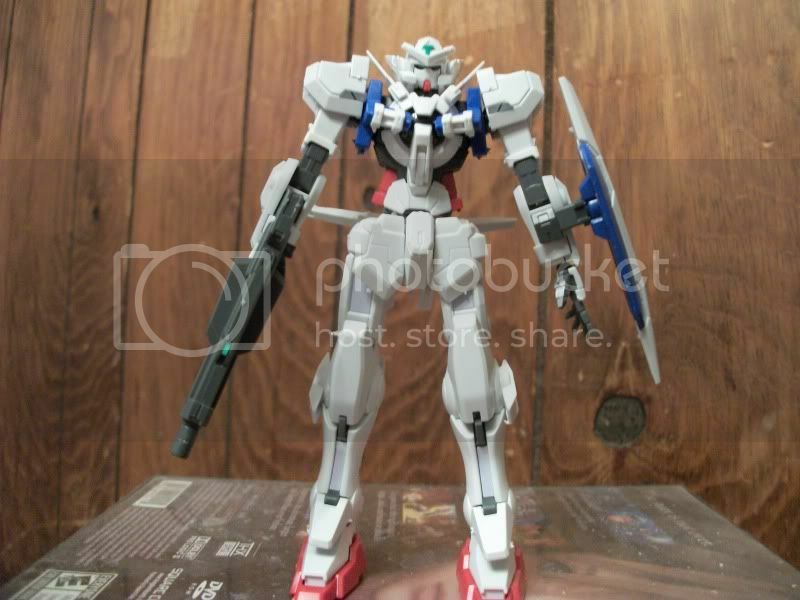 Equipped with the shield, beam rifle and beam sabers stored on the hip skirt armor. 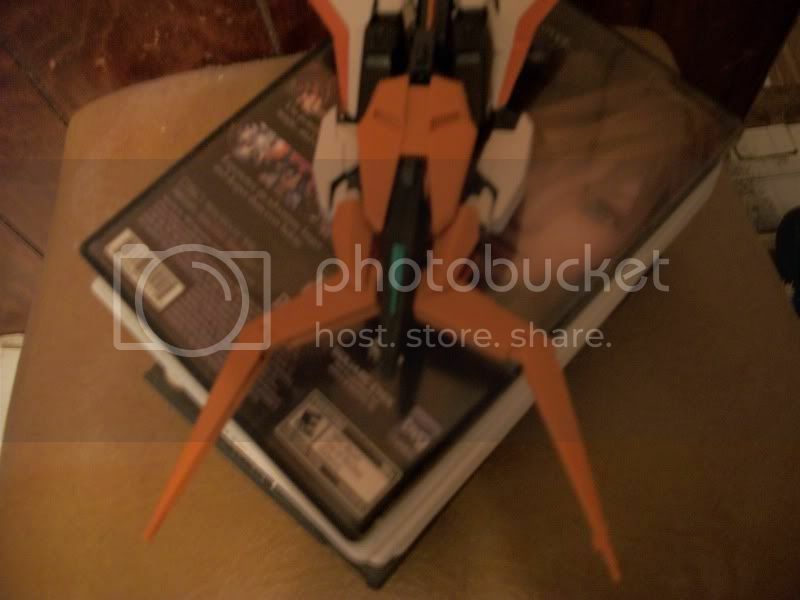 The backpack is actually the Fatum-01 subflight lifter, and can detach from the unit. Last edited by Qu Hui on Wed May 11, 2011 1:46 am, edited 1 time in total. The HG 1/144 Arios Gundam. 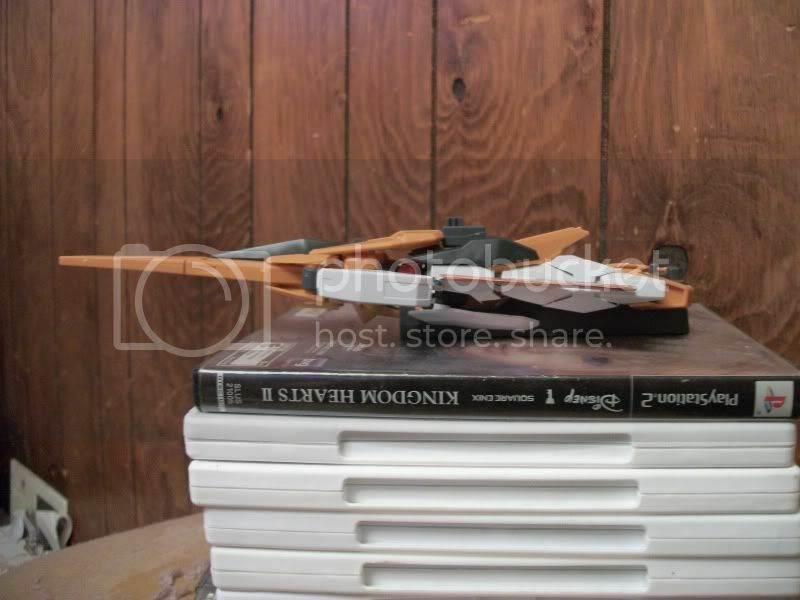 It's armed with a GN twin beam rifle. The Arios in its flight mode. The GN twin beam rifle can be used in this mode as well. The Arios with the GN beam shield/pincer deployed. The HG 1/144 GN Archer, a support craft for the Arios Gundam. 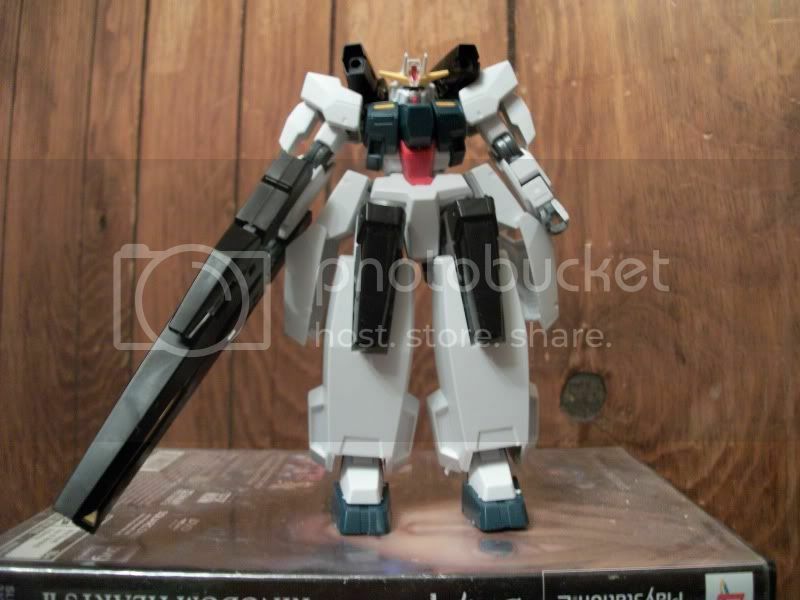 It is armed with two GN beam rifles. The GN Archer in it's flight mode. 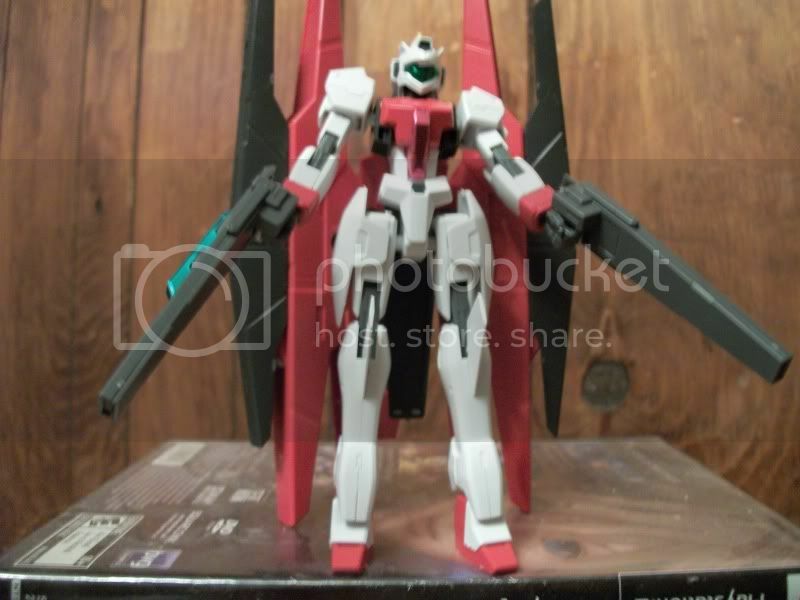 The Archer Arios, the combined form of the GN Archer and Arios Gundam. 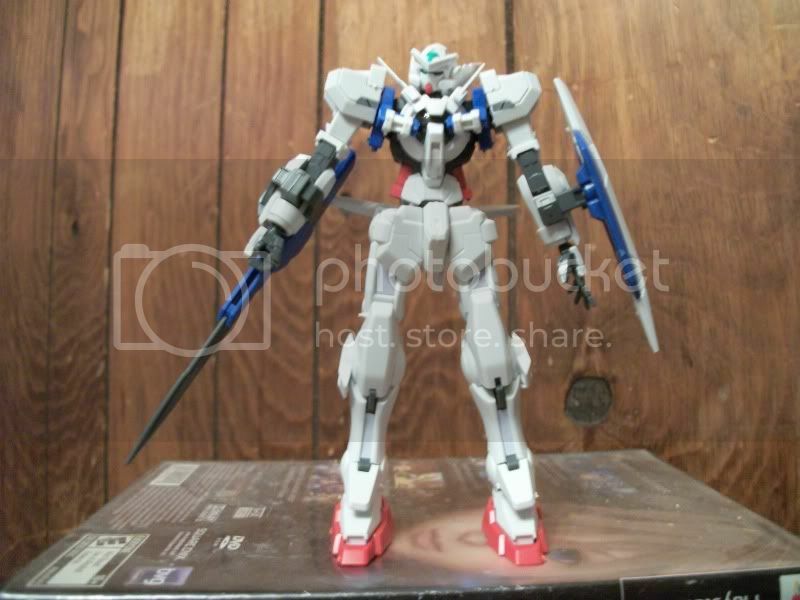 The HG 1/144 Gundam Astraea armed with its proto-GN sword. Other equipment includes a GN shield and a pair of GN beam sabers. 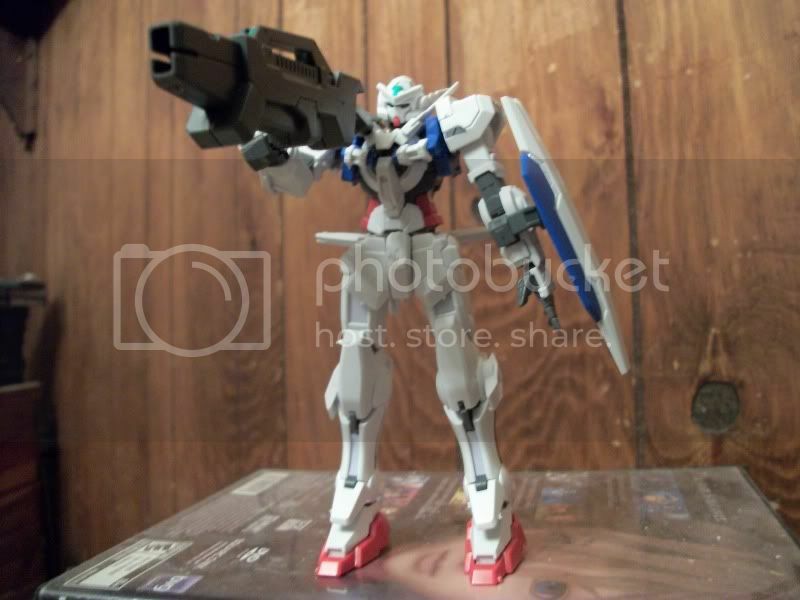 The Astraea armed with its GN beam rifle. The Astraea armed with its high-powered GN launcher. 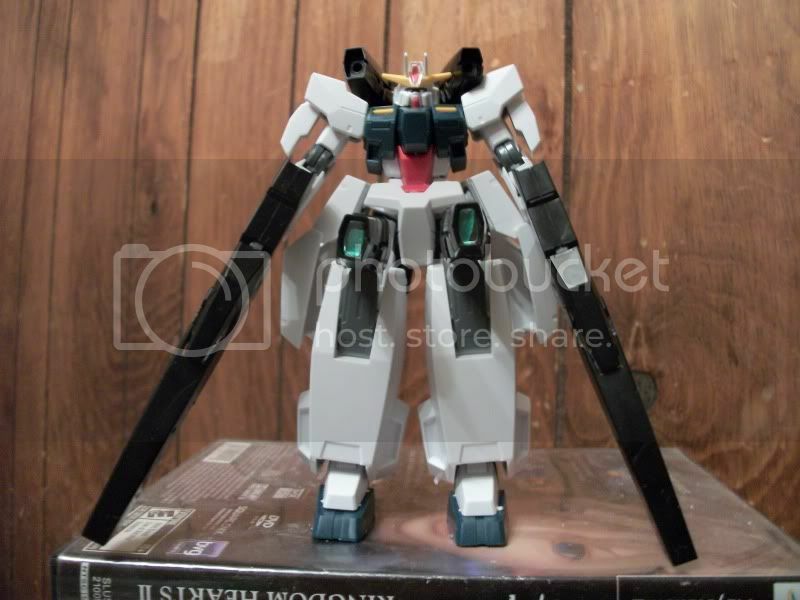 The HG 1/144 Seravee Gundam with its knee-mounted GN cannons deployed and its GN bazookas split in two. The Seravee armed with the combined GN bazooka. 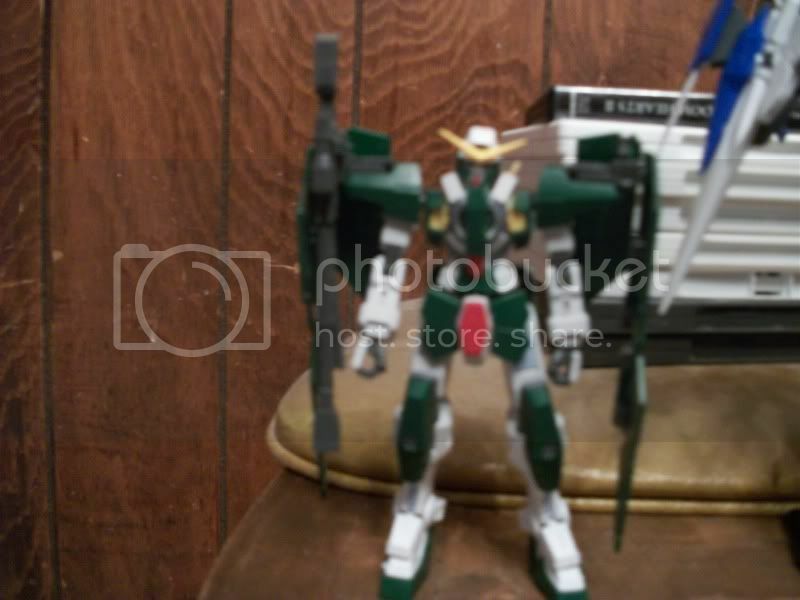 The HG 1/144 Seraphim Gundam, armed with the split GN bazooka. It can disguise itself as the Seravee's backpack and convert its arms to GN cannons. 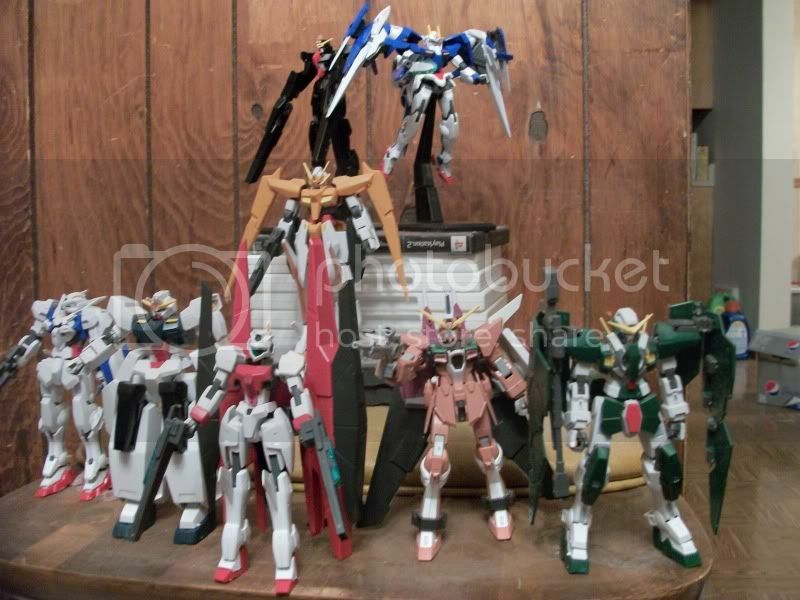 A group shot of all eight models. Very cool, Qu Hui. I especially like that last group shot! They look very nice indeed. I agree with Tigger of Kai on the last shot. Nice, the Infinite Justice is awesome looking!